Vincennes is your location for your commercial or industrial development and future growth. The central location of Vincennes is essential to your distribution needs. Located in the center of Mid-America, we are within 300 miles of the Midwest`s largest cities. These include: Indianapolis, Indiana; Louisville, Kentucky; St. Louis, Missouri; Chicago, Illinois; Cincinnati, Ohio; Nashville, Tennessee; Columbus, OH. 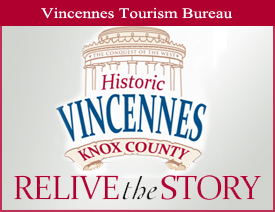 Vincennes offers several travel options for businesses and residents. Two major interstate highways (US 41 and US 50) pass through Vincennes, which connect to other major routes including I-65, I-24, I-40, I-64 and I-70. CSX Transportation serves Vincennes rail needs, providing two main intersecting lines. Eight miles west of Vincennes you will find the Mid-American Air Center with two runways and a Foreign Trade Zone. Forty-five miles south, the full service Evansville Regional Airport can be found. Vincennes is also nestled along the Wabash River, a tributary to the Ohio River. Vincennes University, one of the oldest institutions in the United States, has over 5,000 students enrolled each year with over 90 percent of them from Indiana. The Pathways Network-a partnership between the university, the WorkForce Investment Board and the Knox County Development Corporation-assists individuals in gaining access to new and better jobs, while assisting businesses in placing the right people for the job. There are several incentives that could be made available to new companies setting up facilities in Vincennes. Whether a tax abatement, funds for development or assistance in training costs, Vincennes and Knox County can create a package to benefit your business and let you take advantage of all that the area offers. 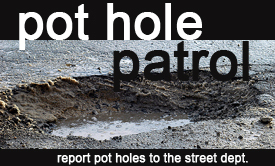 For more information about the benefits, options, capabilities and available worksites that Vincennes and Knox County have to offer, please contact the mayor`s office here or visit the Knox County Development Corporation.